Planning a wedding? Let Bokeh Development make the process easier. 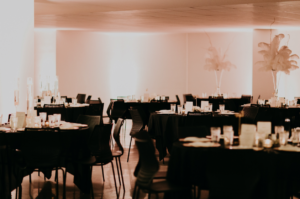 There are a number of downtown Wichita venues to choose from, and our affordable Wichita venue — Candela — is perfect for your big day. Choosing a wedding venue isn’t easy, but Bokeh Development offers an affordable wedding venue option with a beautiful look and feel, delicious catering and plenty of space. Our downtown Wichita venue embodies style and class and can perfectly accommodate your wedding guests. If you’ve always wanted your wedding in the heart of downtown Wichita, Candela is the perfect wedding venue for you. There’s plenty of area attractions nearby and great scenery for wedding photos. Don’t hesitate to contact us to schedule a tour of our wedding venue in Wichita!